Adam Barr started programming around 1981, first learning Fortran on a university mainframe, then BASIC on a very early IBM PC. He majored in computer science at Princeton, graduated in 1988, then spent a year and a half working for a small software company in New Jersey. He started at Microsoft in early 1990, briefly working as a developer on LAN Manager before moving to work on the networking parts of Windows NT 3.1 and 3.5 (that was the first two versions). He worked briefly on an interactive television project, then for about a year at Softimage, a company that Microsoft acquired in Montreal (where he grew up). He came back to Redmond, worked on Windows 2000 (aka NT version 5). 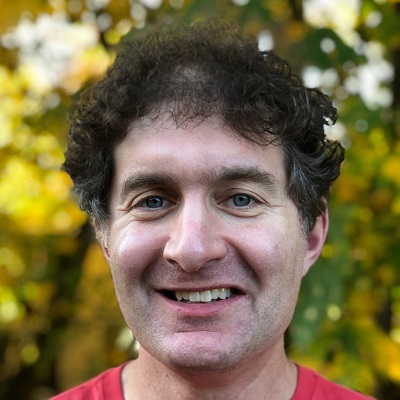 He left Microsoft for 3 years in early 2000, came back in 2003, and was a PM on the first version of PowerShell, an internal instructor and consultant in the Engineering Excellence team, and then a dev lead and engineering manager on various teams in Office. He left Microsoft two years ago to write the book, The Problem with Software; Why Smart Engineers Write Bad Code, and for the last 6 months he has been working as a consultant at a company called Crosslake Technologies, primarily doing pre-acquisition due diligence on software companies. On a personal note he is married with four kids, is the president of his high school band booster club, is on the board of a non-profit youth theatre, and is president of his neighborhood homeowners association (for about 15 years, because nobody else wants to do it…). He's also written two other books, Proudly Serving My Corporate Masters (about my first ten years at Microsoft), and Find the Bug (about code reading).